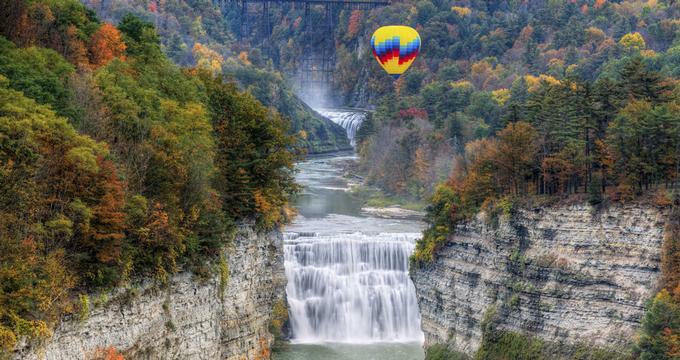 The Finger Lakes region of Upstate New York is well-known for its scenery, great wine and calm country ambiance. Plan a weekend getaway from New York, Boston and other cities to relax, eat great food, go on a wine tasting tour, and enjoy a variety of outdoor activities. Seneca Lake is the largest of the 11 Finger Lakes, while Cayuga is the longest, and both are surrounded by wineries, charming inns and lakefront hotels. See more weekend trips: from NYC, Boston, Vermont, the Maine. 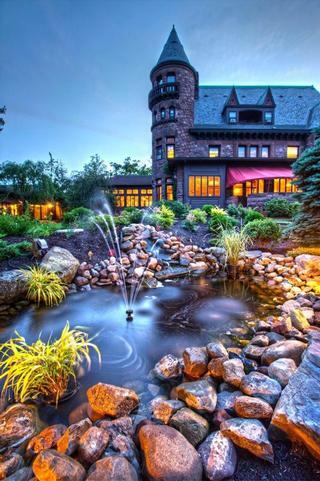 Belhurst in Geneva, New York is a historic 1800's castle hotel offering period guest rooms, two romantic cottages and a ranch home. Belhurst is home to one of the best wineries in New York, offering daily wine tasting tours where you can learn about winemaking in the Finger Lakes region. The historic rooms in the castle are perfect for a romantic weekend getaway in the country. Ask for a room with a soaking tub, a fireplace and a view of the water. After a day of wine tasting and romantic walks, head to the hotel spa for a relaxing massage. End the day with a gourmet dinner at Edgar's or Stonecutter's restaurant. 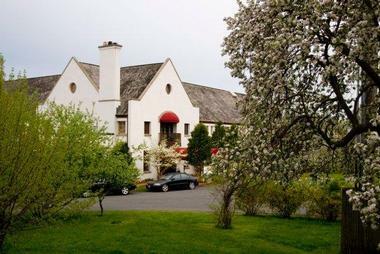 In addition to the rooms in the castle, there are two other accommodation options at Belhurst: Vinifera Inn and the Historic White Springs Manor, a Georgian Revival Mansion about 2 miles from Belhurst. Room rates at Belhurst start at $110 per night. Read more. Browse more getaways from New York and Boston. Geneva On The Lake is a stunning villa on the shores of Seneca Lake, featuring English-style gardens and grand architecture. Listed on the National Register of Historic Places, The villa is set on 10 acres and was inspired by Villa Lancellotti in Italy when it was built in 1914. Guests are accommodated in 29 elegant suites and studios with a living room, dining area, full bath (or bath and a half) and a kitchen. Ask for a view of the water, a fireplace and an outdoor patio, perfect for a romantic getaway. The Lancellotti Dining Room offers scenic views, both from its patio and the indoor dining room. 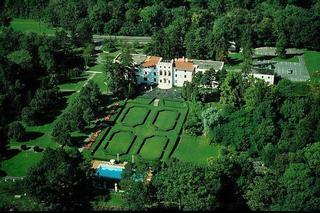 The property is popular for weddings because of its romantic views. Studio rates start at $163, suites from $241. The Inns of Aurora consist of three unique properties, each with its own decor and ambiance. The Aurora Inn is a luxury getaway with classically decorated guest rooms and a beautiful lakeside restaurant. Guest rooms feature antiques, original art, gas burning fireplaces and luxurious baths. Amenities include Frette bed linens, High speed internet access, Aveda products and terrycloth robes. Watkins Glen Harbor Hotel in Watkins Glen, New York is a stylish Finger Lakes weekend getaway close to Seneca, Cayuga and Keuka Wine Trails. 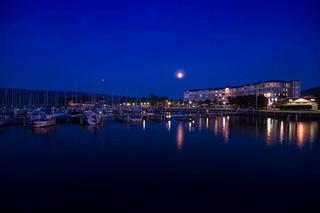 The hotel offers a great starting point for exploring the area. Choose from 104 guest rooms, including charming water view rooms with a patio. Located in the beautiful New York Finger Lakes wine country on 70 acres of lush land just a few miles from Ithaca College and Cornell University, La Tourelle is a hotel, bistro and a spa, a refuge for the mind and body, and a luxury oasis from daily stress and noise. Luxuriously decorated 53 rooms all have soft pillow-top mattress, a Jacuzzi tub or dual-head showers, mini-refrigerators, Wi-Fi, and magnificent views. Pamper yourself in one of the Fireplace King Rooms with balconies and gas fireplaces or rekindle the romance in one of the circular rooms in the tower with a four-poster bed, whirlpool tub, and a lovely fireplace. If you are bringing the family, check out the two-story Yellow Barn Suite in the private renovated old yellow barn with three bedrooms, a kitchenette, and a two-story living room. Gourmet breakfast is served at The Bistro on the main level. 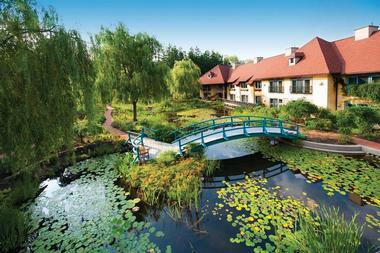 Mirbeau Inn & Spa is a storybook pretty 34 room spa resort is set on 12 verdant acres in the lovely village of Skaneateles, NY, on the banks of Skaneateles Lake. It is surrounded by magnificent colorful gardens and a pond that would make Monet proud. The rooms continue the Provencal theme with charming French country inn decor with luxury bathrooms, fireplaces, claw-foot tubs and outdoor spaces, with added modern conveniences such as TVs with DVD players, free Wi-Fi, and high end stereo systems. Some rooms also have private living rooms. The inn's highly acclaimed gourmet restaurant serves French fare using local fresh, seasonal ingredients. Continental breakfast is included. The hotel's spa offers a hot tub, 18 treatment rooms and a fitness center. 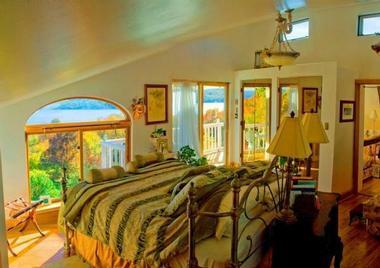 Cayuga Lake Inn - Ithaca Hotel Alt offers spectacular views of Cayuga from its guest rooms and the restaurant. You will be just minutes away from wineries, scenic waterfalls and restaurants. Ask about The Villa House which is located about a mile from the inn. The private house offers guests plenty of privacy and incredible water views. You may also like: 10 Fitch, The Chalet of Canandaigua, Hobbit Hollow and The Black Sheep Inn and Spa.